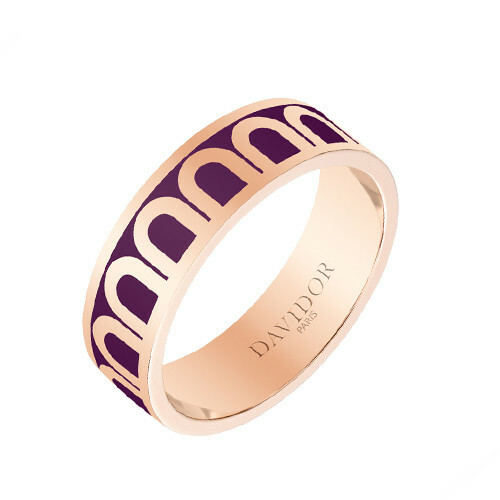 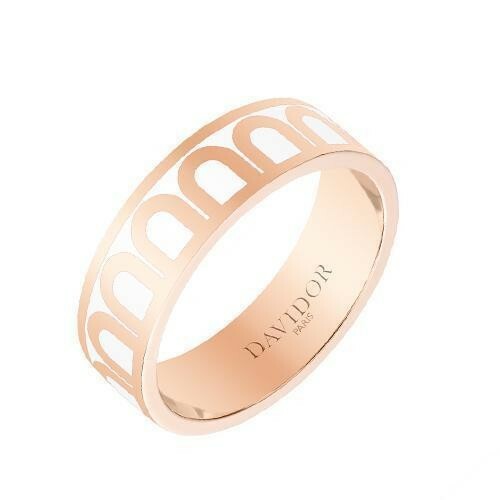 Signature L'Arc de Davidor band ring in 18k rose gold, featuring an elegant arch pattern repeated around the full circumference in gold cloisonné and Neige white lacquer. 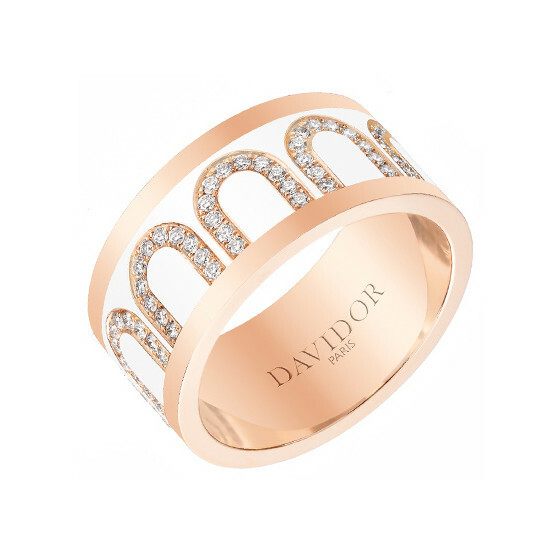 Handcrafted in Davidor's Paris Atelier. 6mm wide. 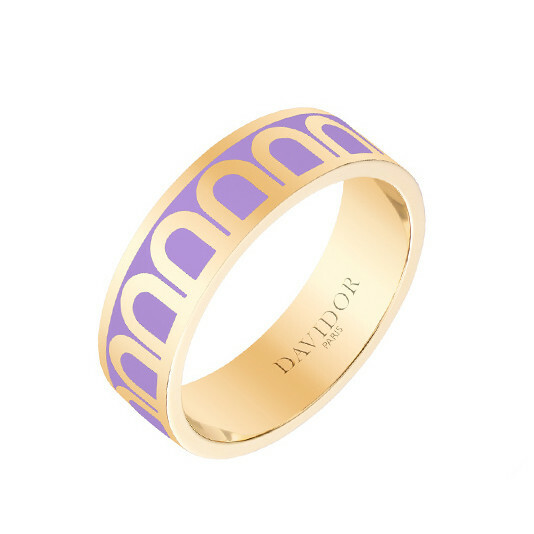 Size 8 (57 - European).